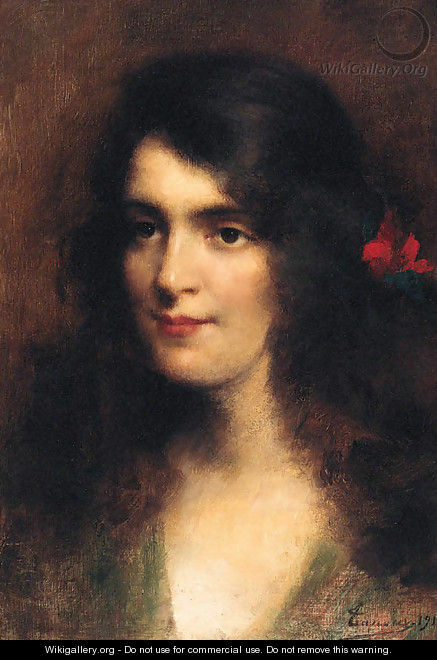 Painting by Adrien Henri Tanoux (1865-1923), “A Young Beauty with a Red Flower in her Hair”. More information on Bloomsday here. This entry was posted in eye candy. Bookmark the permalink.